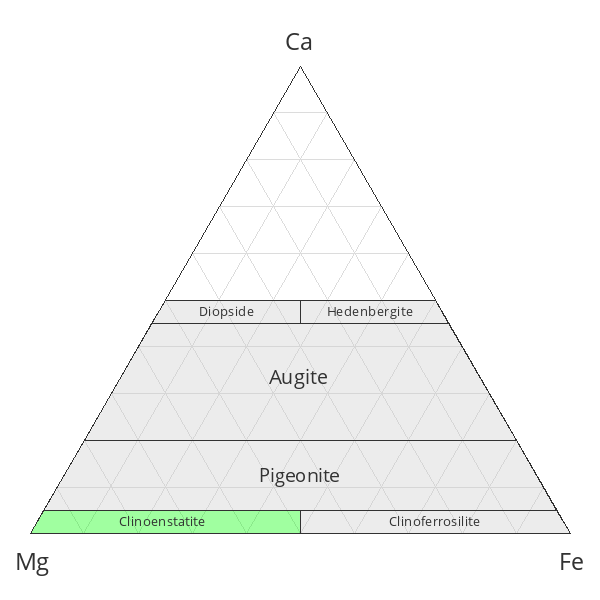 Clinoenstatite: Mineral information, data and localities. Named for being the monoclinic polymorph of enstatite. Ruizite 4 photos of Clinoenstatite associated with Ruizite on mindat.org. Hydroxyapophyllite-(K) 4 photos of Clinoenstatite associated with Hydroxyapophyllite-(K) on mindat.org. Rhodic Ferroplatinum 3 photos of Clinoenstatite associated with Rhodic Ferroplatinum on mindat.org. Augite 3 photos of Clinoenstatite associated with Augite on mindat.org. Glass 3 photos of Clinoenstatite associated with Glass on mindat.org. Anorthoclase 2 photos of Clinoenstatite associated with Anorthoclase on mindat.org. Quartz 2 photos of Clinoenstatite associated with Quartz on mindat.org. Kenyaite 2 photos of Clinoenstatite associated with Kenyaite on mindat.org. Niningerite 1 photo of Clinoenstatite associated with Niningerite on mindat.org. Schöllhornite 1 photo of Clinoenstatite associated with Schöllhornite on mindat.org. Poldervaart, A. and Hess, H.H. (1951): Pyroxenes in the Crystallization of Basaltic Magma. The Journal of Geology 59, 472-489. Brearley, A. J. & Jones, R. H. (1998) Chondritic Meteorites. In: Planetary Materials (Papike, JJ - Ed. 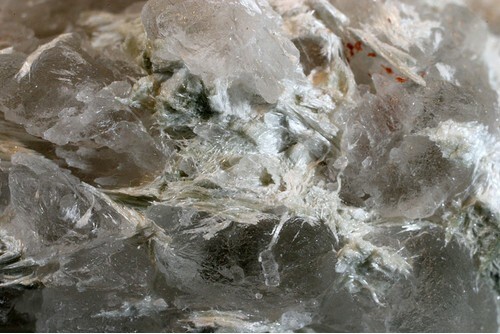 ), Chapter 3: 1-398: Mineralogical Society of America, Washington, DC, USA. http://webmineral.com/specimens/picshow.php?id=2940; Tomioka, N. and Fujino, K. (1997) Natural (Mg,Fe)SiO3-ilmenite and -perovskite in the Tenham meteorite. Science: 277: 1084–1086. ; Jambor, J.L. 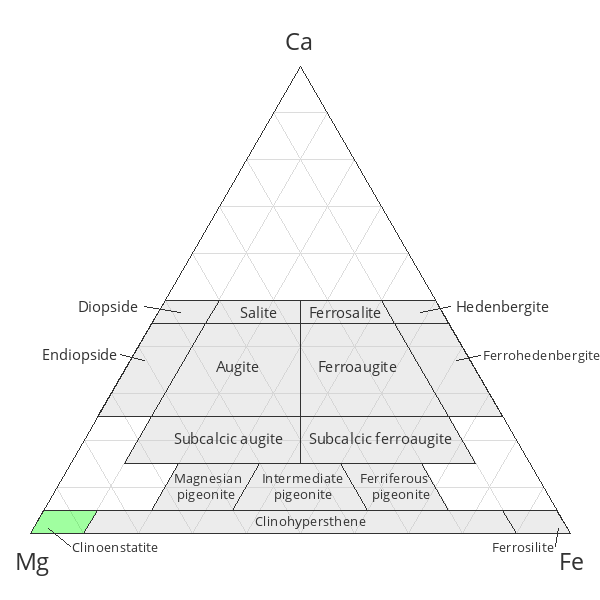 and Roberts, A.C. (1998) New mineral names. American Mineralogist: 83: 400-403.; Tomioka, N. and Fujino, K. (1999) Akimotoite, (Mg,Fe)SiO3, a new silicate mineral of the ilmenite group in the Tenham chondrite. American Mineralogist: 84: 267-271. Louis H. Fuchs, Kenneth J. Jensen & Edward Olsen (1970). Mineralogy and Composition of the Murchison Meteorite. 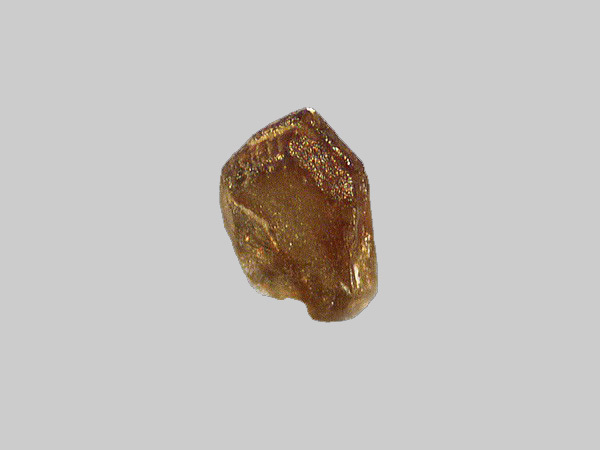 Meteoritics 5, #4, p. 198. (Dec 1970). Horton E. Newsom & Michael J. Drake (1977). Metal Fractionation Patterns in the Bencubbin Meteorite. Meteoritics 12, p. 326. Brian Harold Mason (1966). The Enstatite Chondrites. Geochimica et Cosmochimica Acta 30, 23-30. Rhian H. Jones & Adrian J. Brearley. (1994). Reduced, Plagioclase-rich Chondrules in the Lancé and Kainsaz CO3 Chondrites. Abstracts of the 25th Lunar and Planetary Science Conference. p. 641. (March 1994). Wahl, W. (1952) The brecciated stony meteorites and meteorites containing foreign fragments. Geochim. Cosmochim. Acta 2, 91-117. Brearley, A. J. (1988) Nature and Origin of Matrix in the Unique Chondrite, Kakangari: A TEM Investigation, Lunar and Planetary Science XIX, 130-131. (March 1988); Brearley, A. J. & Jones, R. H. (1998) Chondritic Meteorites. In: Planetary Materials (Papike, JJ - Ed. ), Chapter 3: 1-398: Mineralogical Society of America, Washington, DC, USA. Binns, R.A. (1970) Pyroxenes from non-carbonaceous chondritic meteorites: Mineralogical Magazine 37(290): 855-669. (June 1970). ;Bridges, J.C., Franchi, I.A., Hutchison, R., Morse, A.D., Long, J.V.P. & Pillinger, C.T. (1995) Cristobalite- and tridymite-bearing clasts in Parnallee (LL3) and Farmington (L5): MAPS 30(6): 715-727. (Nov 1995). Mason, B., and Wiik, H.B. (1962) The Renazzo meteorite. American Museum Novitates, number 2106, 11 pp. Abreau, N. M., Brearley, A. J. (2011) Deciphering the nebular and asteroidal record in silicates and organic material in the matrix of the reduced CV3 chondrite Vigarano. Meteoritics & Planetary Science, 46, 2 (Feb. 2011), 252-274. Carapezza, M., Nuccio, P. M. & Valenza, M. (1976) Piancaldoli meteorite - Chemistry, mineralogy and petrology: Meteoritics 11:195-205. (Sept 1976). Wada (1904): Minerals of Japan; Professor Takashi Kitagawa (1949-2009) collection, Hiroshima University. Ashwal, L. D. (2001) Korra Korrabes: A new, large H3 chondrite breccia from Namibia: Meteoritics & Planetary Science 36 (8),1027-1038. (Aug 2001). Rubin, A.E., Breen, J.P., Isa, J. & Tutorow, S. (2016) New Kind of Chondrite: A Clast with Carbonaceous, Ordinary, and Unique Characteristics in the Northwest Africa 10214 LL3 Breccia: Lunar and Planetary Science Conference XLVII. LPI Contribution No. 1903, pdf.1048. (March 2016). ; Rubin, A.E., Breen, J.P., Isa, J. & Tutorow, S. (2017) NWA 10214 - An LL3 chondrite breccia with an assortment of metamorphosed, shocked, and unique chondrite clasts: Meteoritics & Planetary Science 52(2): 372-390. (Feb 2017). Michel‐Lévy, M. C. (1988). A New Component of the Mezö‐Madaras Breccia: A Microchondrule‐and Carbon‐Bearing L‐Related Chondrite. Meteoritics, 23(1), 45-48. Scientific Report 5:9111; Bindi, L., Yao, N., Lin, C., Hollister, L. S., Andronicos, C. L., Distler, V. V., ... & Steinhardt, W. M. (2015). Decagonite, Al71Ni24Fe5, a quasicrystal with decagonal symmetry from the Khatyrka CV3 carbonaceous chondrite. 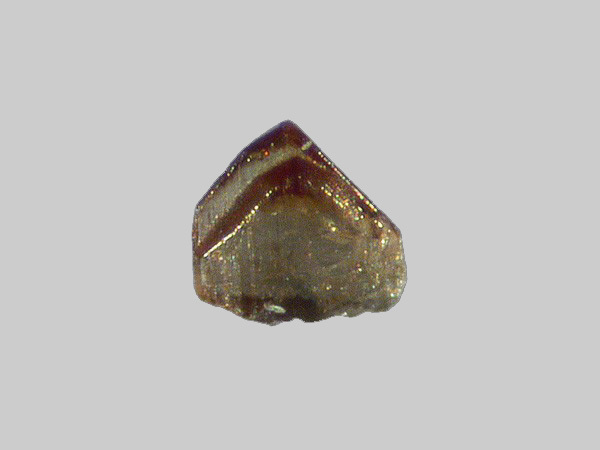 American Mineralogist, 100(10), 2340-2343. Semenenko, V. P., Girich, A. L., and Sharkin, O. P. (1992) Highly porous fragments in Saratov (L4) ordinary chondrite. Abstracts of the Lunar and Planetary Science Conference, volume 23, page 1261; Bezaeva, N.S., Badjukov, D.D., Rochette, P., Gattacceca, J., Trukhin, V.I.,Kozlov, E.A., Uehara, M. (2010) Experimental shock metamorphism of the L4 ordinary chondrite Saratov induced by spherical shock waves up to 400 GPa. Meteoritics & Planetary Sciences, 45, 6, 1007-1020. Miyahara, M., Uehara, S., Ohtani, E., Nagase, T., Nishijima, M., Vashaei, Z. and Kitagawa, R. (2008): THE ANATOMY OF ALTERED CHONDRULES AND FGRS COVERING THEM IN A CM CHONDRITE BY FIB- TEM/STEM. Lunar and Planetary Science XXXIX, 1194. Murdoch, Joseph & Robert W. Webb (1966), Minerals of California, Centennial Volume (1866-1966): California Division Mines & Geology Bulletin 189: 307; Pemberton, H. Earl (1983), Minerals of California; Van Nostrand Reinholt Press: 386. Mason, B. H. (1966). The Enstatite Chondrites. Geochimica et Cosmochimica Acta 30, 23-30. (Jan 1966). Kracher, A., Scott, E. R. D., & Keil, K. (1984) RELICT and other anomalous grains in chondrules - Implications for chondrule formation: Journal of Geophysical Research, Supplement vol. 89: pp. B559-B566. (15 Feb 1984). Akihiko Okada, Klaus Keil & G. J. Taylor (1980). The Norton County enstatite achondrite: A brecciated, plutonic igneous rock. Abstracts of Papers Presented at the Forty-Third Annual Meeting of the Meteoritical Society. LPI Contribution 412, edited by Paula Criswell, published by the Lunar and Planetary Institute: Houston, p.170. Alan E. Rubin (2010). Impact melting in the Cumberland Falls and Mayo Belwa aubrites. Meteoritics & Planetary Science 45, #2, 265-275. Noonan, A.F. (1975) The Clovis (no.1), New Mexico meteorite and Ca, Al, and Ti-rich inclusions in ordinary chondrites. Meteoritics 10 (1): 51-59. (March 1975). Meteoritics (ISSN 0026-1114), vol. 24, Dec. 1989, p. 195-208.